With a look of having been borrowed from “his” closet – hand-distressing, heavy laundering, fabric breaks, patches, color gradients, and paint all lend stories of love and character to a unique, one-of-a-kind discovery found only here! 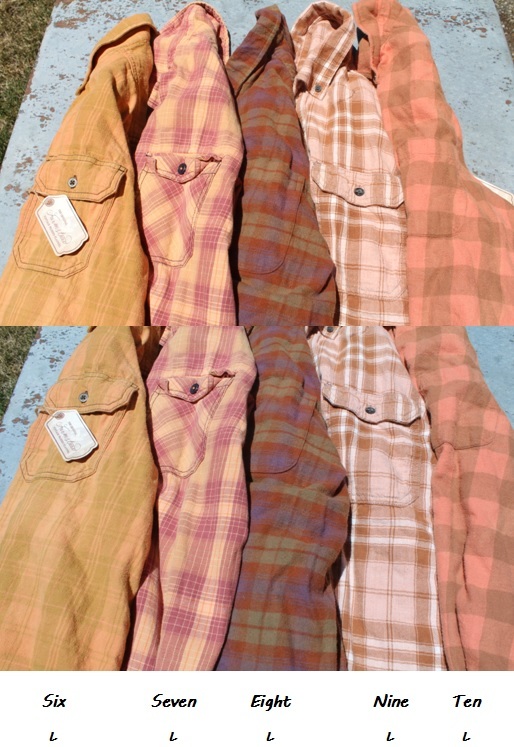 Our “Well-Worn” flannels have been chosen for their perfect imperfections - elevating the charm already found in your favorite Farmstead flannels. • Sizing: Our shirts are unisex in nature, and vary slightly on actual fit. While they run true to size when compared to men's clothing, we've found ladies either order down one size, or as listed for those who prefer a larger/looser fit. • Care: We recommend gentle, hand washing in cold water due to the distressed nature of the fabric, followed by hang-drying. • Exchanges and Returns: Due to the nature of these one-of-a-kind, hand-distressed items, we’re unable to accept returns or exchanges. If you’re concerned about sizing, order one size-up for a larger/looser fit.